In a mason jar, combine bourbon, diced pear, cinnamon stick, nutmeg, cloves, and brown sugar. Shake well and let marinate overnight in the refrigerator. When ready to serve the cocktail, place two large ice cubes into a glass. Strain the bourbon through a fine mesh strainer. Twist an orange peel over the glass and rub around the rim. 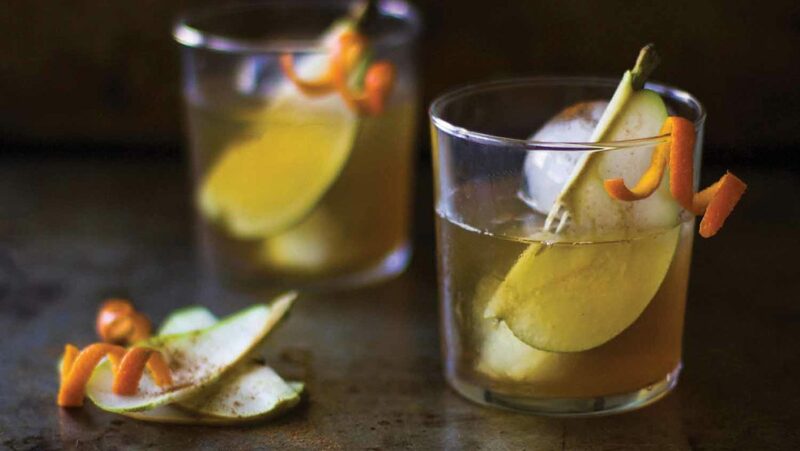 Serve immediately and garnish with extra pear, a sprinkle of cinnamon, and an orange peel.